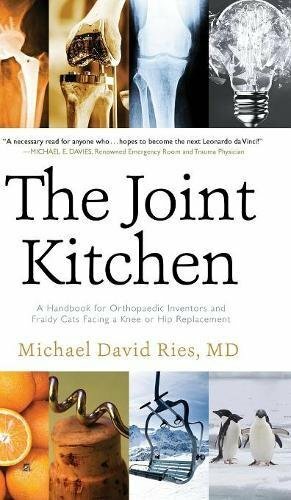 “The Joint Kitchen: A Handbook for Orthopaedic Inventors and Fraidy Cats Facing a Knee or Hip Replacement” distinctly illustrates one man’s creative process for developing mechanicals for injured or worn out hips and knees. The most unique element of this book is how Dr. Michael David Ries goes about his process of invention. By demonstrating ways to accomplish “creative thinking through common tasks,” the author is sure to influence other pioneers. I would recommend this book to any natural “da Vinci” type who yearns to see his or her ideas come to fruition. It might also be informative for those wondering about their own body mechanics - especially if that person is considering replacement surgery.